Been having so much fun (except for ear infections) with Louisa! She has an ear infection in both ears, so the poor sweet thing is feeling pretty rough. Luckily, she's had everybody to help out: mommy and daddy, grandma and grandpa and great grandma and great grandpa. Louisa's feeling better, but as Lauren said "is on hair-trigger crankiness!" While Louisa was napping, I made these father's day tags. I really like the font and the blue and green plaid. If you like them, they are ready to download below. I used the "payday" one to create a little treat. Love the play on words! I happen to really like Payday's, too. Yum! I wrapped the Payday in light weight Kraft mailing paper and hot glued stars onto the twine. I used the XOXO tag to create a pillow box treat filled with Kisses (with almonds) and Hugs. 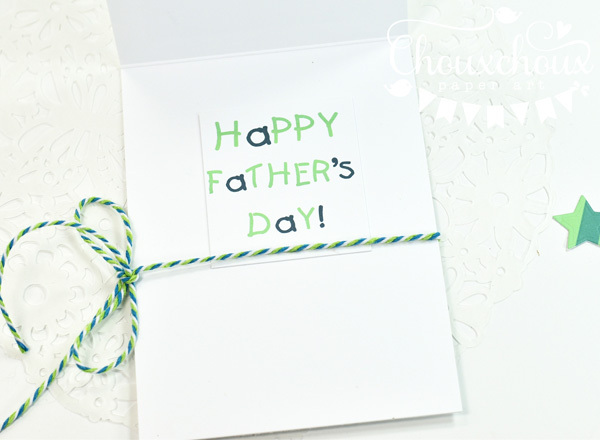 I used the last two tags to make a clean and simple Father's Day card. one for the inside. I cut out the middle of the tag for the inside sentiment. Another clean and simple Father's Day card. This is one of my favorite frame stamps and "dad" fit perfectly. I bought 2 digital sets and combined them to make these cute Star Wars cards. Paul and I are big Star Wars fans, so Louisa is going to give her daddy the Leia one. 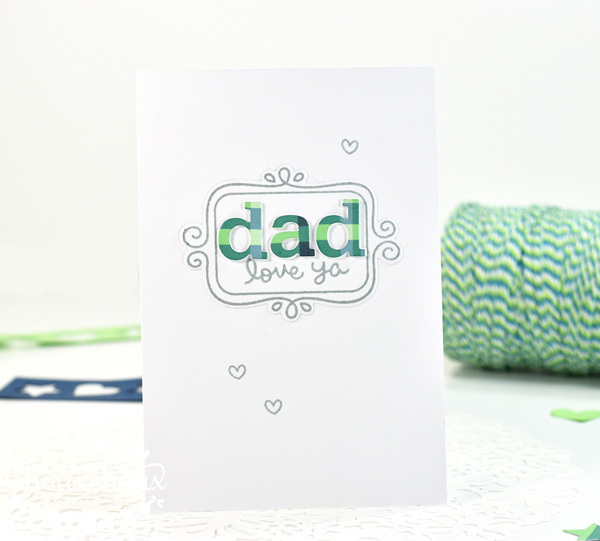 Download Father's Day Tags HERE. I have the best dads in my family. They are all the best of men: kind, caring, responsible, honest, supportive of women. All characteristics that I cherish and appreciate. 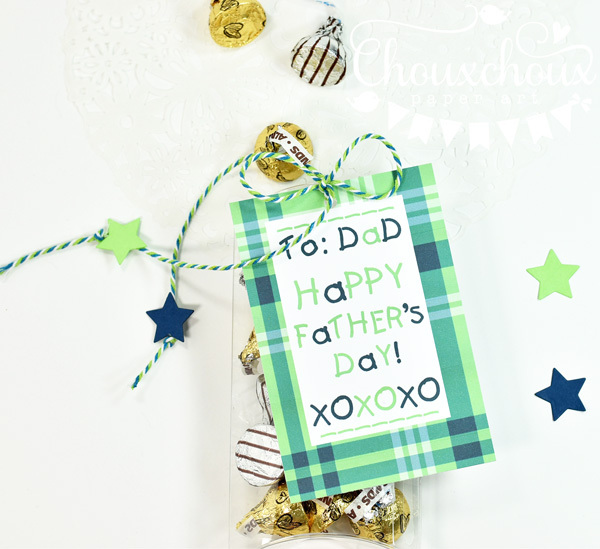 Sweet projects for Father's Day! Love the colour combo and beautiful plaid! Poor Louisa - I hope she feels better soon! So nice that everyone was helping out! Hope that the wonderful baby Louisa is feeling much better! Ears infections are so painful! She is lucky having a bunch of persons of family that help her! Hi Lori! Sorry to hear about poor little Louisa... Hope she gets to feeling better real soon... So glad she has an awesome family to care for her... She needs lots of hugs! and I'm sure you're happy to do just that for her! :) And omgosh.. what CUTE tags! 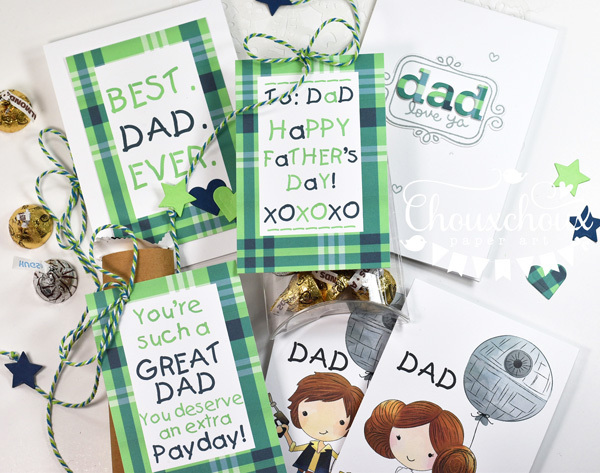 I love the blue/green plaid... it's so awesome and those star wars cards are sooooo cute!! Love the fun sentiment! Poor Louisa! So glad you're able to see her so often, Lori! The plaid is go pretty & how creative to add stars to the twine! You come up with the best ideas! WoW!! these are really wonderful, love the colors, love the sentiment and play on words!! how kind of you to offer these to others for free, i think i may take you up on that!! I hope Louisa is felling better! Those ear infections are no fun for the little ones! 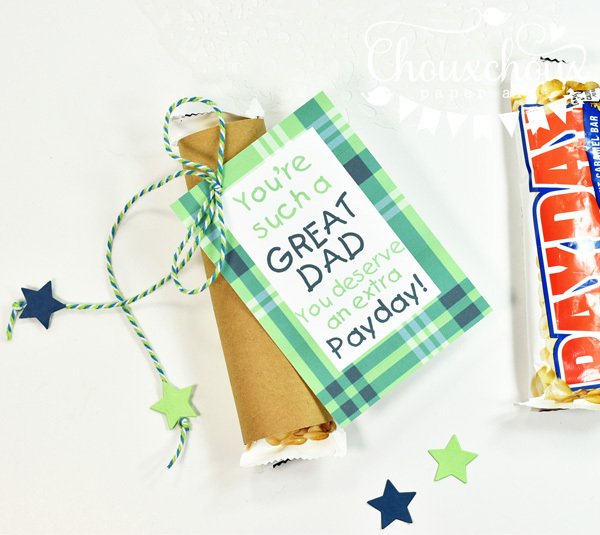 Your Father’s Day creations are super fun and so cute! Love all the plaid and sweet sentiments!! 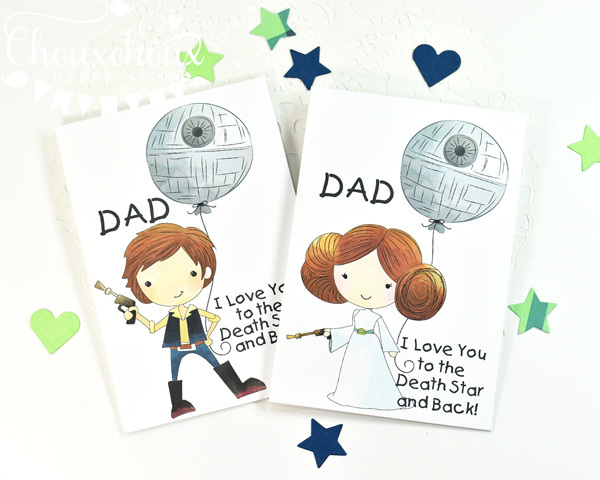 Great tags, cards and gift ideas for Dad! 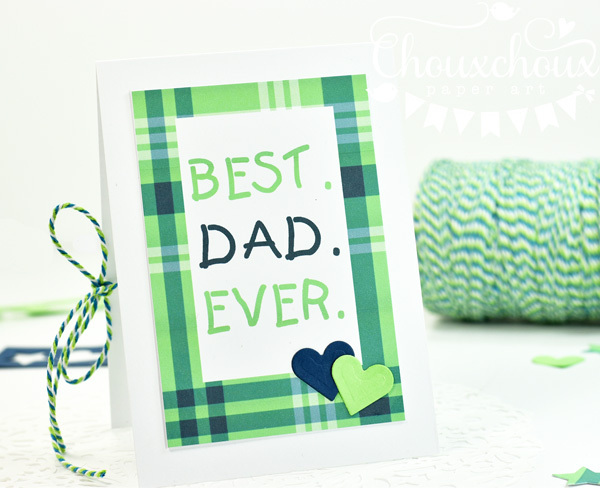 Love that green and blue plaid and how the font colors are mixed to match! Thanks for sharing them with us too! 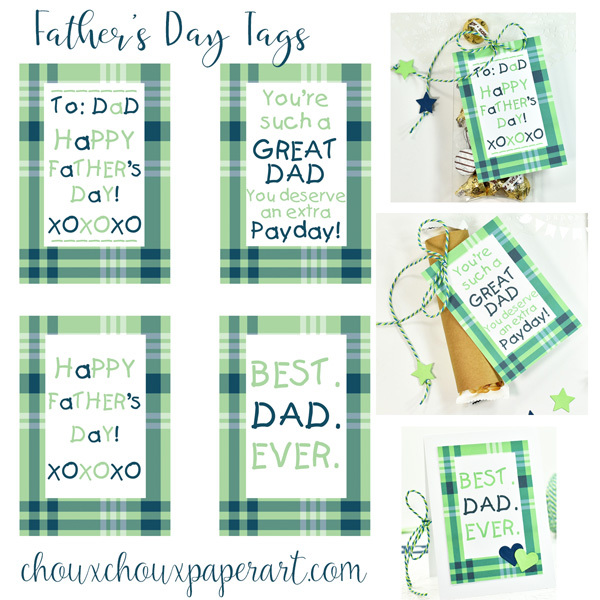 The Fathers Day tags you made are adorable! Omgosh, how sweet and fun! I adore those Star Wars cards! Sooooo cute! 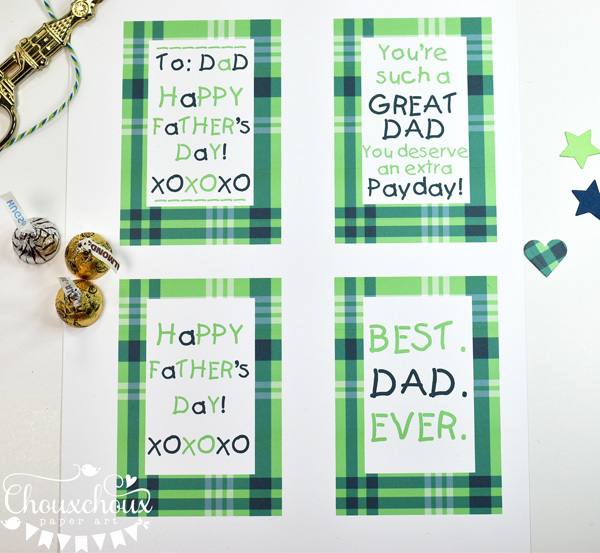 And the plaid printable so are as cute as can be! Love the green and blue combo, and love all the fun ways you used the cards! Such awesome treats!